Harold Bridger was a remarkable man who had a profound influence on people in management roles around the globe. He helped them to become more reflective in their own working practices and to create organisations that were reflective, learning institutions. Harold grew up in west London and took a mathematics degree at University College London. He then taught mathematics at Bablake School in Coventry. During the second-world war he rose to the rank of major and served with War Office selection boards. At Northfield military hospital, Birmingham and, towards the end of the war, with civil resettlement units, he worked with the psychoanalyst and group consultant, Wilfred Bion, on methods of helping people through what we now call post-traumatic stress disorder. After the war he joined the Tavistock Institute and trained as a psychoanalyst. In 1946 he become one of the 12 founder members of the Tavistock Institute of Human Relations. This began a very fruitful and influential period of developments that included the creation of sociotechnical systems theory and the development of experiential courses on group dynamics. Harold worked regularly with companies like Philips, Unilever, Shell and Trebor. He devised many methods to help these companies but there was always a degree of what was described as ‘joyful mystique’ about the way he worked, an uncanny skill in understanding the dynamics of an organisation that led one senior manager to describe him as a magician. But the methods he devised have stood the test of time. Although he was initially concerned with group dynamic methods for individual therapy, as he worked with companies he became more concerned to help them unearth the ‘below the surface’ processes that may be hindering their collective development. He developed the ‘double task’ approach to encourage people to ‘suspend business’ and review what they were experiencing and reflect on the processes they found themselves part of. And he developed the idea of ‘transitional spaces’ in which people were free to explore, to try different things, outside the pressures of normal business. He was always looking for opportunities for people both individually and collectively to stand back from the primacy of ‘task one’ and think deeply about the bigger questions of ‘task two’, the task of understanding the systems you are part of and working to improve them. Harold developed the ‘Working Conference’ as a week-long experiential event to help people develop their double task capabilities. 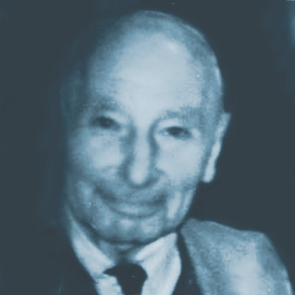 In 1991 he helped Lisl Klein found the Bayswater Institute and he gave the Institute the Working Conference which it subsequently ran for over 20 years. ‘Wisdom in Groups’ carries on the tradition of helping delegates develop their double task skills. Harold died in 2005 at the age of 95 but his insights into human behaviour in work organisations in general and groups in particular live on. In a highly paced, richly interconnected world it becomes increasingly important to take time out to reflect and look under the surface at the forces shaping our behaviour.